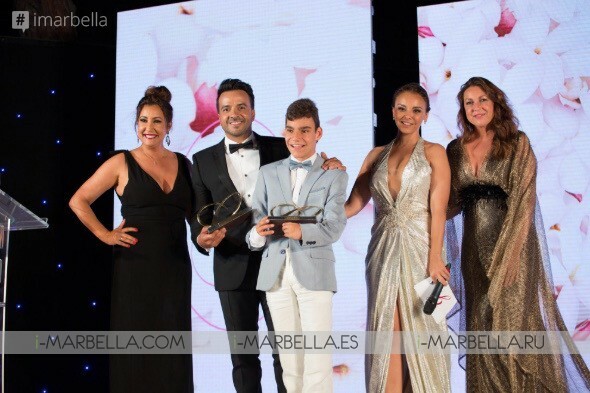 Marbella Philanthropic Weekend's host and co-founder of Global Gift Foundation; Maria Bravo, received for the seventh consecutive year on Monday, July 30, 2018 at the prestigious Gran Meliá Don Pepe Hotel more than 250 national and international celebrities including Luis, Fonsi, Gary Dourdan, James Arthur, Descemer Bueno and Dama, Águeda López, Lisa Scott Lee, Vogue Williams, Spencer Matthews and among others to celebrate the VII The Global Gift solidarity gala. 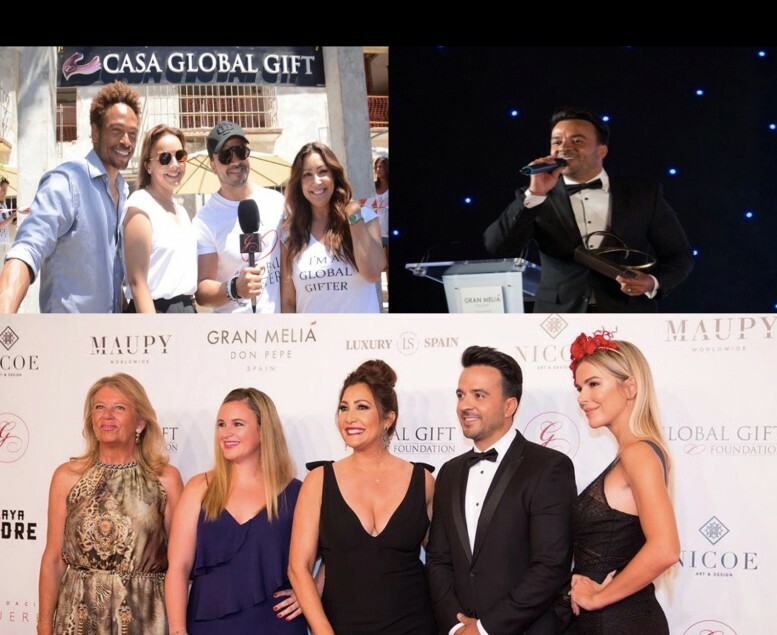 The Global Gift Foundation has awarded the solitary ongoing work of the Puerto Rican singer Luis Fonsi in The Global Gift Gala, a ceremony that has been attended by many national and international personalities, who have met up in Marbella for a charitable and philanthropic work. The singer, who has stated about the award to be "an honor and a great responsibility", has also declared that "This award is from each one of those who is looking for a minute just to help." It's an honor to be part of this Global Gift Foundation Gala. ''I feel committed as a musician since we are a voice of love and hope and I have the need to help and give back a little love and health to so many children who need it. Since I met Maria and the great team of her foundation, along with Eva also, I wanted to be part of this, to work together and expand her voice. ", Said Fonsi. he also added, "there is still a lot of work to do, but I feel very privileged to be part of the Global Gift family and hopefully we can continue doing important things to change the lives of many people who need so much help". A special participation of Niña Pastori at the moment of giving the "The Global Gift Inspiration Award" to the young Adrián Martín was one of the most emotional moments experienced in the gardens of the Hotel Gran Meliá Don Pepe. "This time he will not act, but he has come as an award winner because we wanted to recognize his talent and his positive and contagious energy, which is for everyone an authentic inspiration," said Bravo. 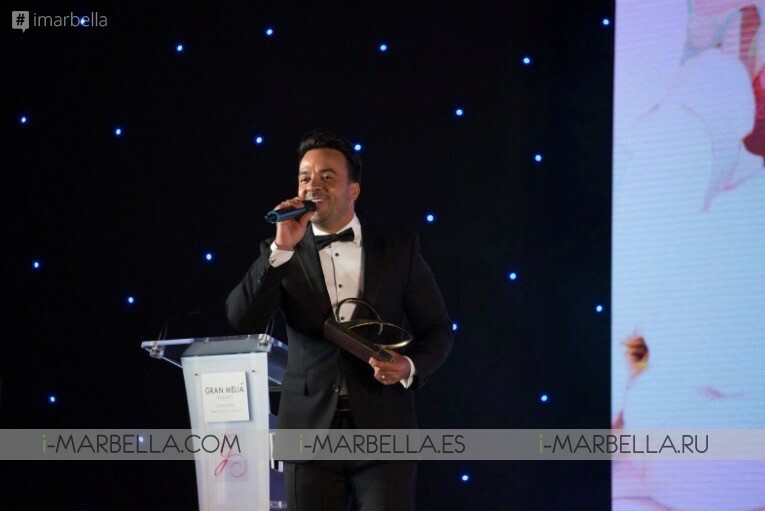 Luis Fonsi received a "Global Gift Philanthropist Award" in which the Foundation recognizes his solidarity and commitment to children and the most disadvantaged of the international artist of the moment. 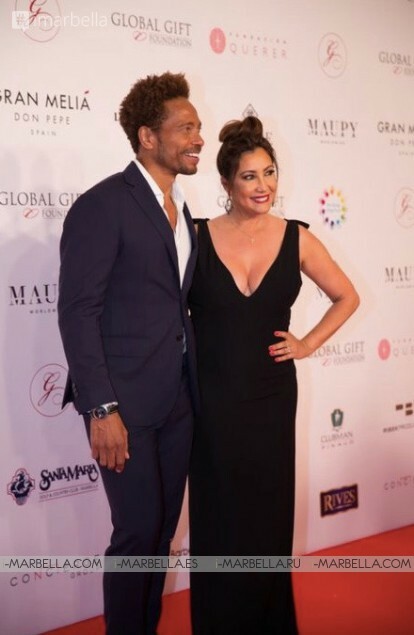 Actress Lorena Bernal and TV presenter and activist, Enjy Kiwan, were hosts of the evening that featured performances by Gary Dourdan, James Arthur, Descemer Bueno and Dama. For the first time, 4 international chefs and renowned Michelin stars presented their art at the Gala Menu: Víctor Carracedo, Paolo Casagrande, Mauricio Giovanini and José Carlos Fuentes. The host chef Carracedo stressed that "it's an honor to join the Foundation in their seven year's event and give our know-how in this renowned philanthropic event." The traditional gala, framed in the VI Global Philanthropic Weekend Weekend, raised funds for the Casa Global Gift project in Marbella. Among the Global Gifters of the international philanthropic community were Chenoa, Águeda López, Lisa Scott Lee, Vogue Williams, Spencer Mathews, Beatriz de Orleans, Montse Hidalgo, Carla Barber, Rafael Amargo, Pilar García de la Granja, Nuria Fergó or Manolo Santana, accompanied by Claudia Rodríguez, among many others. Directly from the United Kingdom to the ceremony joined the singer James Arthur with a live performance that eclipsed the audience or the performance of Niña Pastori that left everyone breathless. On Sunday morning, several of the celebrities including Luis Fonsi, Chenoa or Gary Dourdan as well as collaborators and Global Gifters joined Maria Bravo and her team to the Casa Global Gift to see the progress of undergoing renovations and works and to thank new donors for their contribution to be able to pay for the completion of the center. Of course, children or families of the 5 associations workingin these facilities did not want to miss this moment, And the mayoress of Marbella Marbella, María Ángeles Muñoz didn't miss either. The VII Philanthropic Weekend, has had the valuable support of collaborators and sponsors such as Gran Meliá Don Pepe, Meliá Marbella Banus, Alvarez-Ossorio & Castro, All American International Industries, Kiko Milano, Skeyndor, Luxury Spain, Kiros Paris, Nico E Design, Maupy Worldwide, Barber Clinics, Santa Maria Golf & Country Club, VIP Concierge Services, Ardel Beauty, Clubman, Padre Beach, Marbella Luxury Cars, King Peter Vodka & Rives, Pablowski, Habla Wineries, Popi Hams and Virginia Florist. The main event of the Global Gift platform and one of the most important charity celebrations in the world, dedicating the result of its work to helping socially responsible organizations whose values coincide with those of the Global Gift Foundation. Global Gift Gala is celebrated as a gala dinner; a magical evening that starts with the red carpet and a welcome cocktail, a three-course dinner prepared by prestigious Michelin chefs, a live auction with unique items that "money can not buy" and live performances by artists world size.